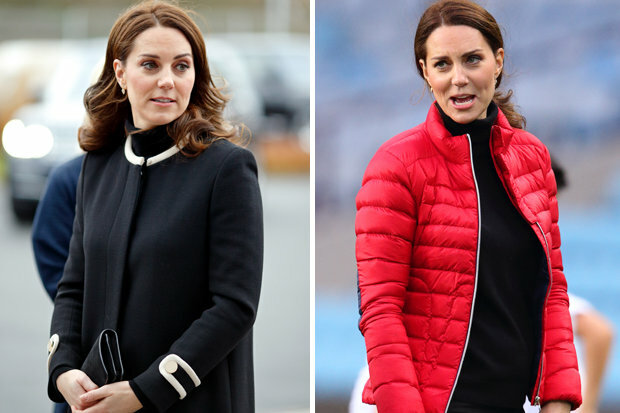 Months after her pregnancy announcement the Dutchess of Cambridge Kate Middleton showed off her baby bump for the first time as she watched a game of footy in Aston Villa Football Club's ground. Kate donned body-hugging black jeans and top along with a red jacket to suit the sporty occasion. She was accompanied by her husband Prince William who is a lifelong Villa fan. Even though Kate hasn't shied away from her public appearances post-pregnancy announcement, she had managed to keep her baby bump hidden from the prying eyes. The Duke and Duchess of Cambridge already parents to Prince George (4) and Princess Charlotte (2) are expecting their third baby somewhere in April next year. The couple was invited to meet young apprentices, who are a part of the project to develop next generation of sports coaches. Kate even joined the youngsters on the pitch after changing into more sporty wear to suit the occasion, this prompted the onlooking cameras to capture her expanding baby bump. The couple kicked off their day with a tour of the assembly line at Jaguar Land Rover factory in Birmingham and met mountain rescue volunteers who use the company’s off-road vehicles. 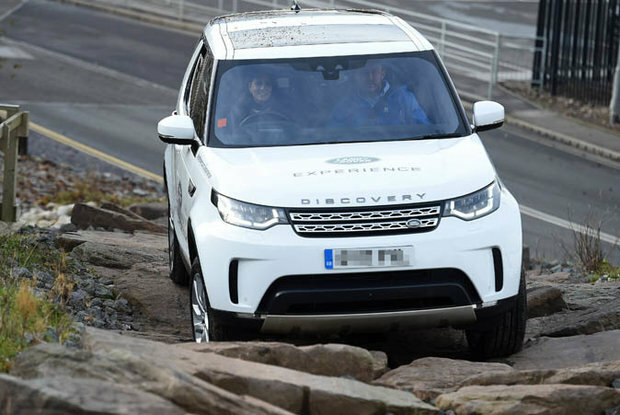 The Duchess even put her off-road driving skills to test on a white Land Rover. Dressed perfectly for winter in a black coat and knee-length dark boots, Kate battled the cold British weather touring the 194 ha facility which manufactures 8000 cars per day. Even with an entire day visiting and being ushered here and there, Kate looked relaxed and cheerful with no signs of the recent severe morning sickness. In her previous pregnancies, she canceled public appearances due to illness.